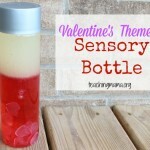 It’s March and time to share a new sensory bottle! This month’s theme is the color green and St. Patrick’s Day. Baby Lincoln is now 7 months old and sitting up. 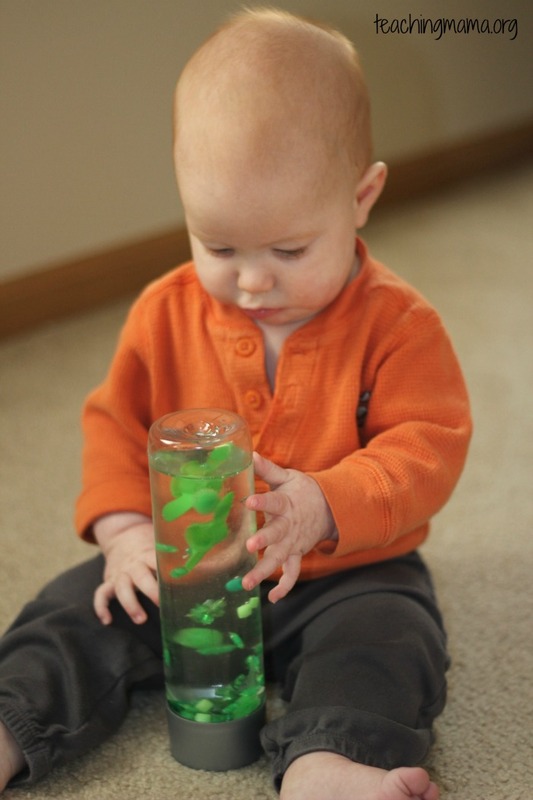 This was the first time he played with the bottle while sitting. Big brother enjoyed introducing the bottle to him. 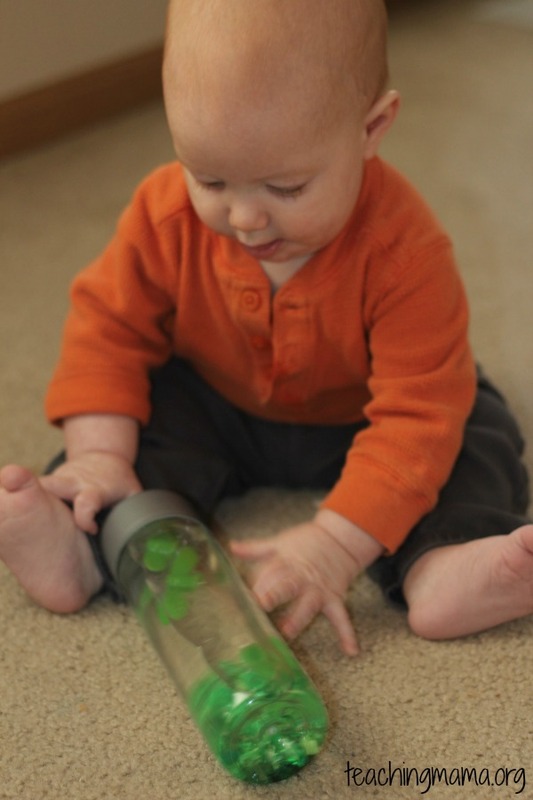 Then baby LOVED rolling it, looking at it, and knocking the bottle over. Love baby hands and toes! 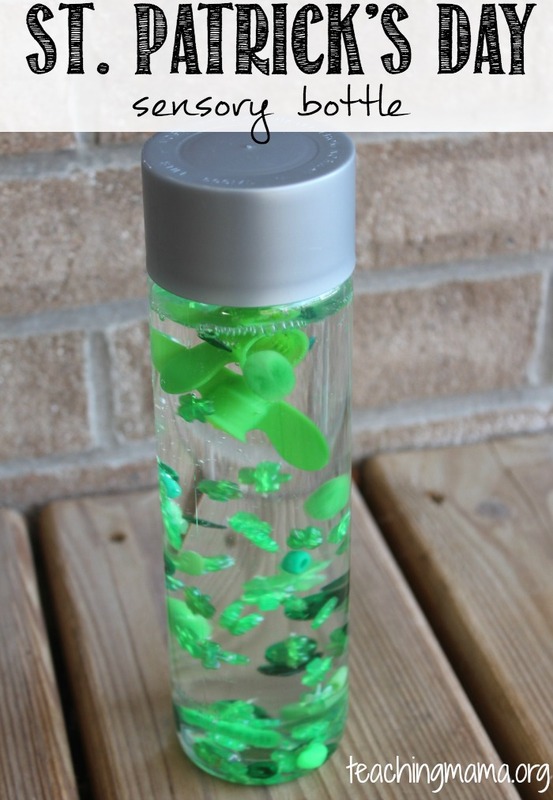 It was fun to watch the green lids twirl inside the bottle. Wish I had more of them in there! 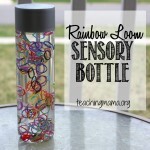 I just love making sensory bottles for my kids! 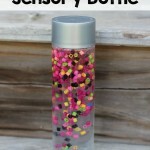 To see all the bottles we’ve made, visit here. Thank you, Kalista! I think he’s awful cute, too! Hope you’ll try it out in the future! 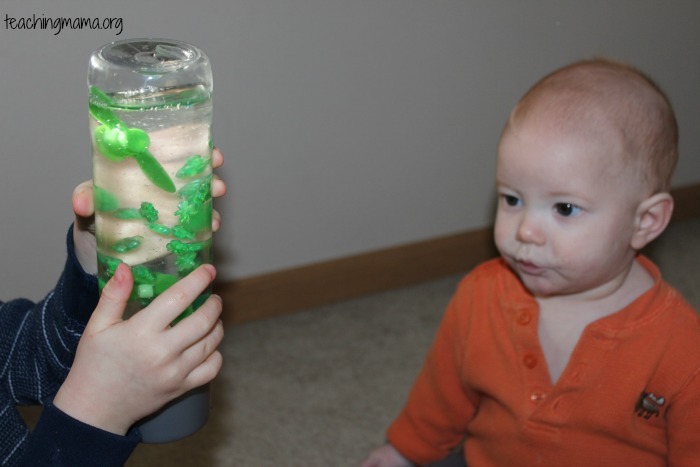 I was wondering if you were using the glass or plastic Voss bottles. 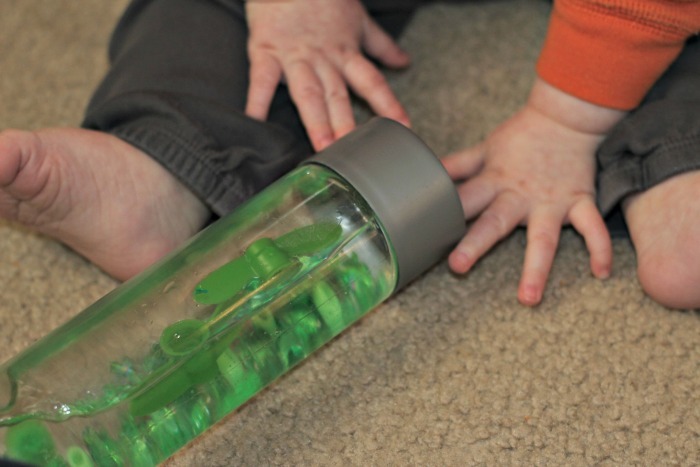 My son tends to throw things and he has broken a glass voss bottle. 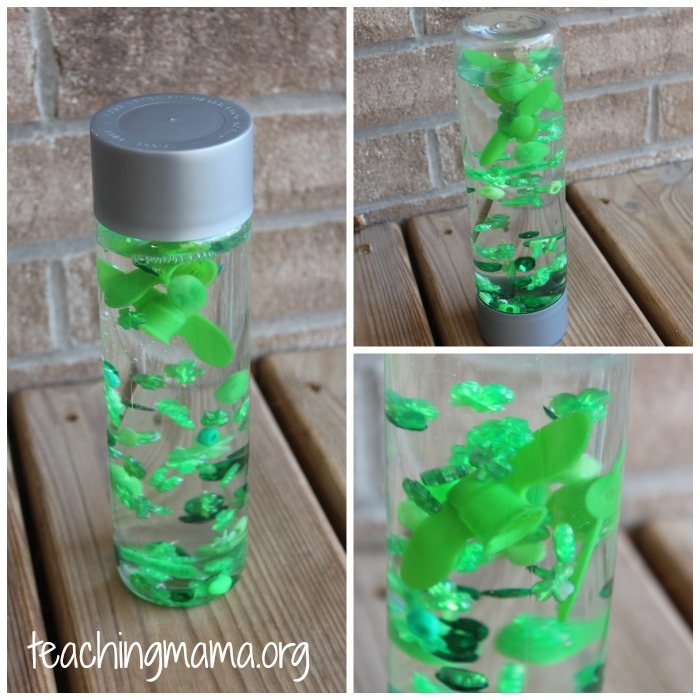 I always use plastic Voss bottles. I would be too nervous to try glass ones! 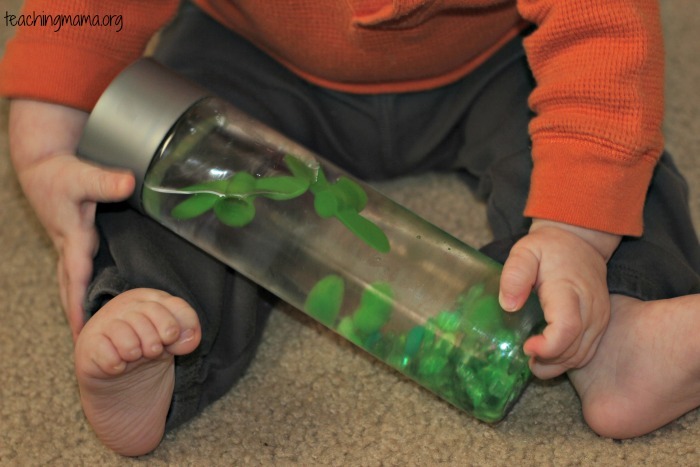 What was the liquid in this bottle? 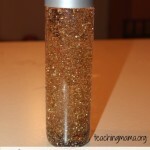 I love using clear mineral oil. Farm supply stores carry it by the gallon as I think it is used for horses. 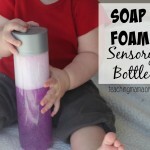 It’s also what is used in baby oil but it’s scented there and more expensive. Adorable!! 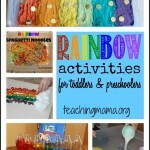 My son always grabs stuff like this in home and my husband and me complete the home cleaning stuff!!!! !